Great Expectations has a colourful cast that has entered popular culture: the capricious Miss Havisham, the cold and beautiful Estella, Joe the kind and generous blacksmith, the dry and sycophantic Uncle Pumblechook, Mr. Jaggers, Wemmick with his dual personality, and the eloquent and wise friend, Herbert Pocket. Throughout the narrative, typical Dickensian themes emerge: wealth and poverty, love and rejection, and the eventual triumph of good over evil. 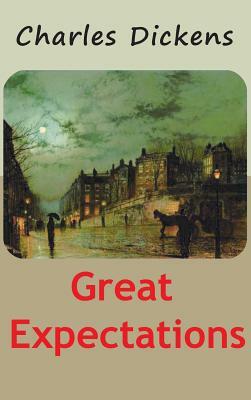 Great Expectations has become very popular and is now taught as a classic in many English classes. It has been translated into many languages and adapted many times in film and other media. It is set among the marshes of Kent and in London in the early to mid-1800s. From the outset, the reader is "treated" by the terrifying encounter between Pip, the protagonist, and the escaped convict, Abel Magwitch. Great Expectations is a graphic book, full of extreme imagery, poverty, prison ships, "the hulks," barriers and chains, and fights to the death. Born in Portsmouth, England, Dickens was forced to leave school to work in a factory when his father was thrown into debtors' prison. Although he had little formal education, his early impoverishment drove him to succeed. Over his career he edited a weekly journal for 20 years, wrote 15 novels, five novellas and hundreds of short stories and non-fiction articles, lectured and performed extensively, was an indefatigable letter writer, and campaigned vigorously for children's rights, education, and other social reforms.